Hollis Town Hall is located at 7 Monument Square, Hollis, NH 03049; phone: 603-465-2209. 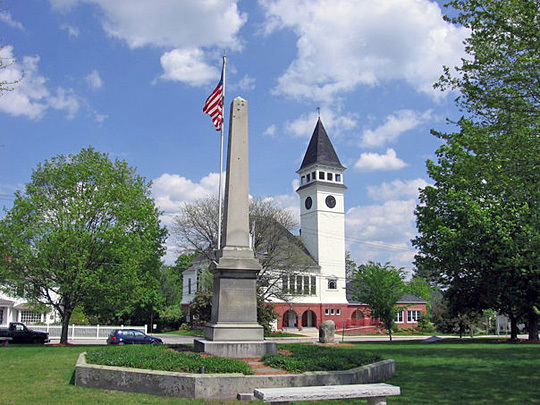 Photo: Monument Square with Town Hall in the Background, Hollis, NH, en.wikipedia.org, photographed 2006 by Hollis1138, accessed March, 2011. Hollis Historical Society, www.hollis-history.org, accessed March, 2011.